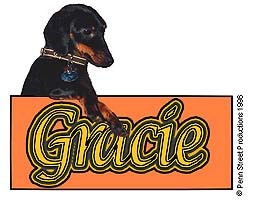 Gracie, Queen of the Weinies! Queen Gracie looks down at her loyal subjects. And the Dachshund Determination to deal with all of the above!